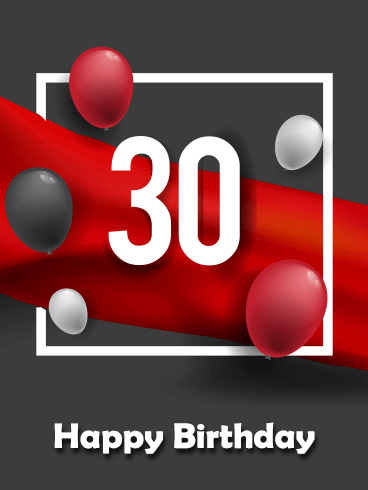 Turning 30 is a big deal. 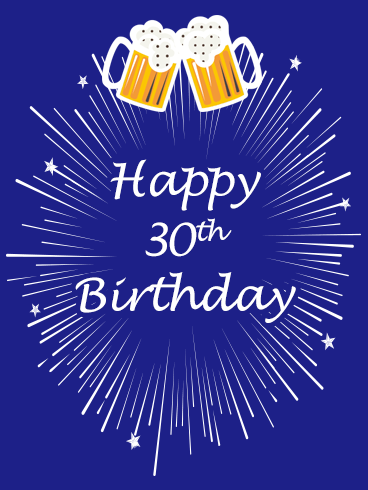 As you go from your twenties to your thirties, you enter a new and more settled stage of life. 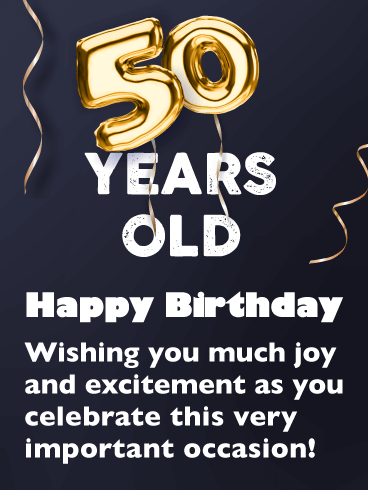 To show your loved one that this is a good and exciting event, send this gorgeous Happy Birthday card! The stars, glitter, and stunning colors will show how special you think they are and set the right mood for this big day! Do you have a friend or family member who is classy and elegant? Are they going to be celebrating a birthday soon? 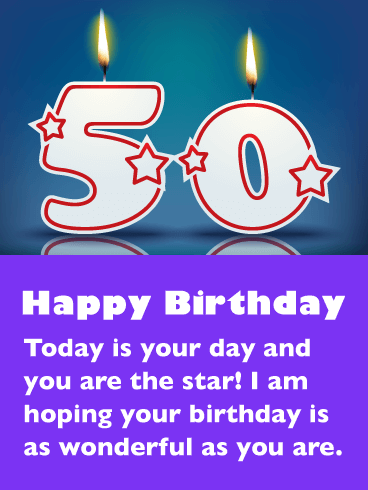 Then you have found the perfect Happy Birthday card to send them on their special day! 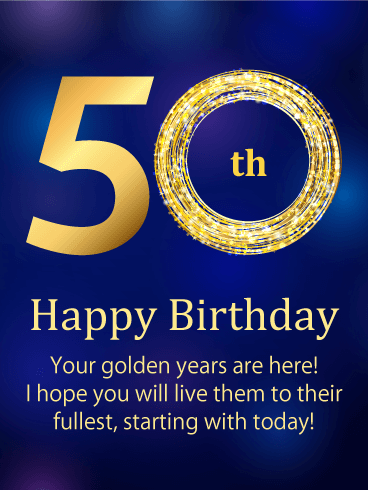 The sleek design and elegant gold colors will create a luxurious setting for their birthday celebration. 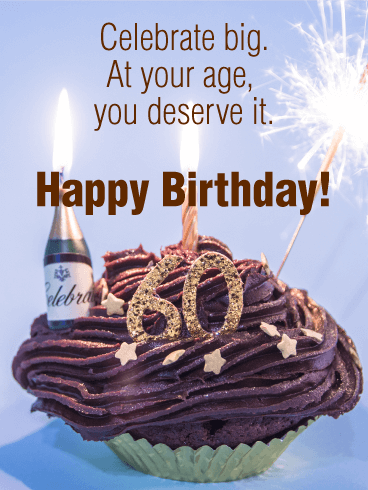 Your loved one deserves a great celebration, so send this card today! 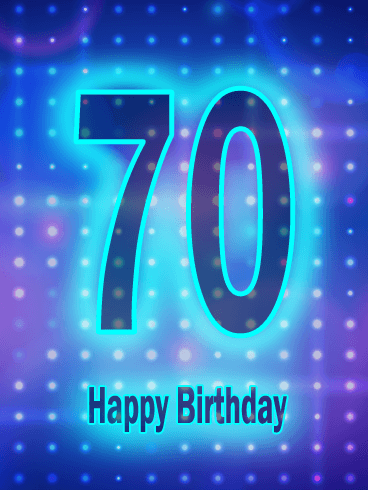 With all the glitz and glam, this 70th birthday card is sure to be a hit! After all, who doesn't love some extra sparkle on their special day? The bright gold coloration and softer nighttime background have the perfect contrast. 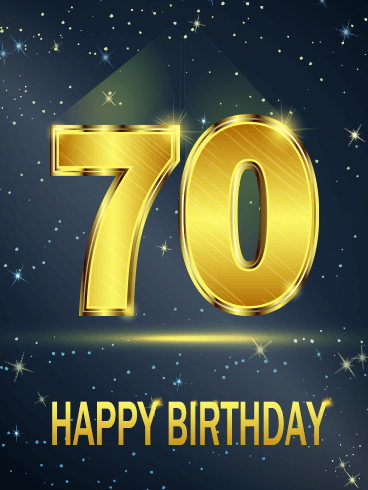 For that amazing person in your life celebrating their milestone birthday, look no further than this gem of a card. They're sure to love it! 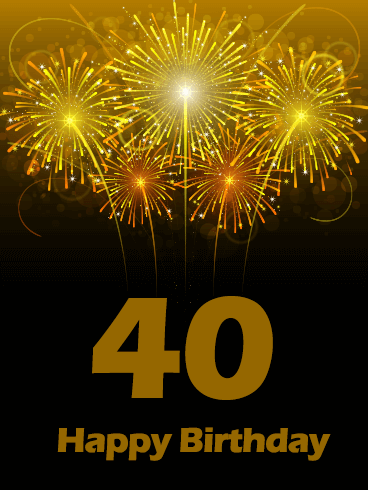 Nothing screams a celebration quite like sparkly gold! 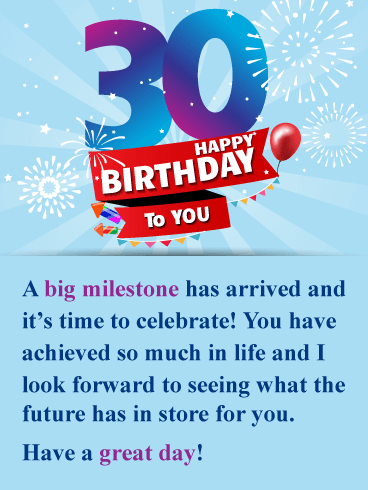 This birthday card is perfect for anyone in your life celebrating this huge milestone birthday. The black checkered background is fun without being over the top, and the gold letters and stars add just the right amount of flair. 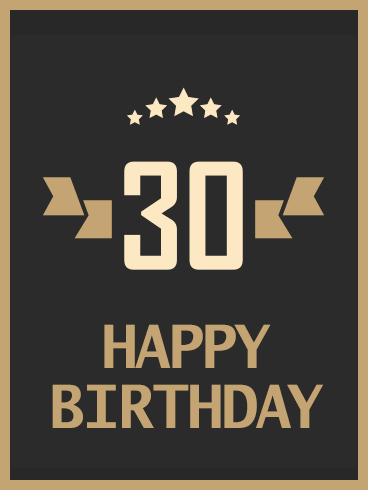 This birthday card can easily be tailored to fit the recipient, but the gold, black, and white are a great start! Do you know someone who loves classy celebrations and sophisticated gifts? 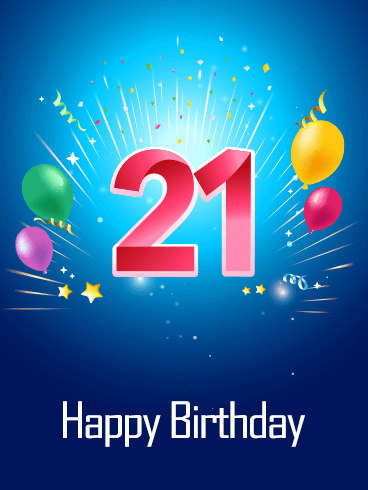 Then you have found the perfect Happy Birthday card to send for their 21st birthday! Like your friend or family member, this card is full of beauty and class. 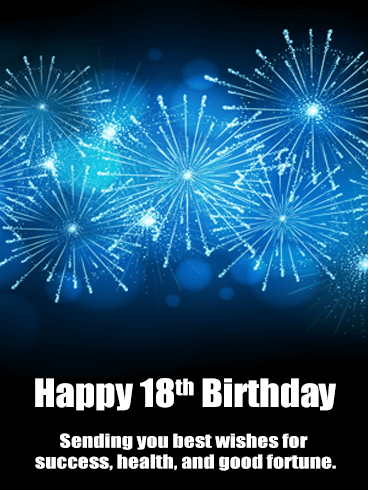 This Happy Birthday card is the perfect match for your loved one, so use it to make this a great day! 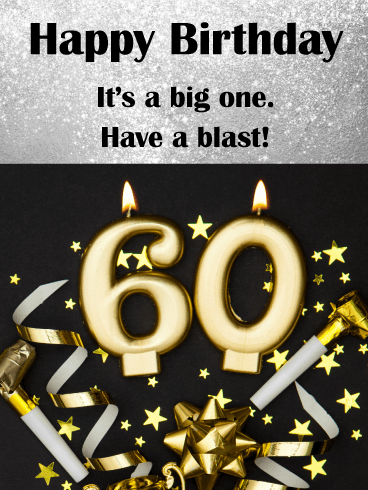 There's something so simple but unique about this birthday card celebrating the person in your life turning sixty! 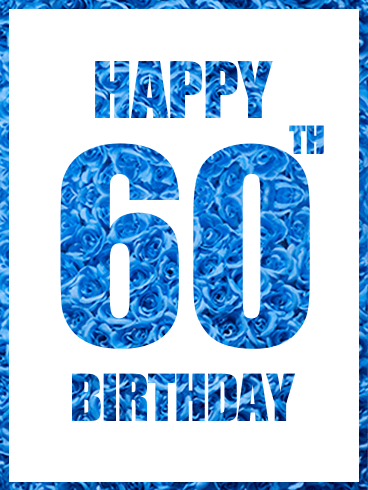 The pattern is nontraditional, in that the blue roses are used for the lettering instead of the background, and that really makes this birthday card stand out. 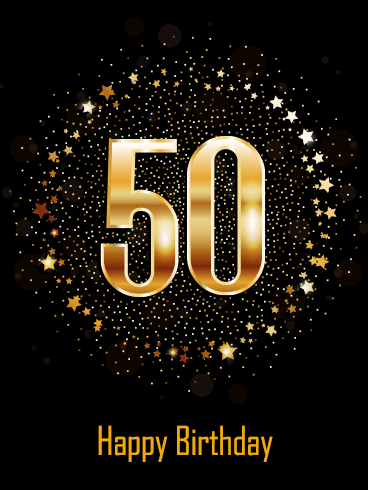 This is a perfect choice for anyone in your life celebrating this milestone birthday! 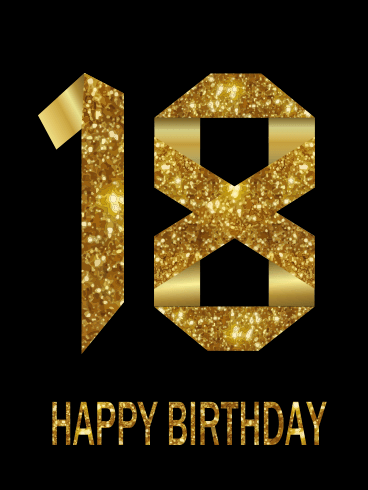 Scream happy birthday from wherever you are with this fabulous birthday card with gold detailing. Isn't it just gorgeous?! 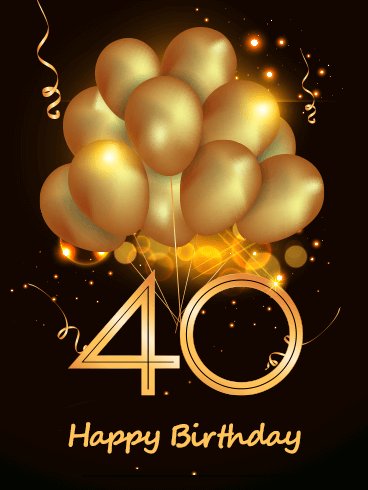 There's nothing better than a balloon bouquet to celebrate the big 4-0! 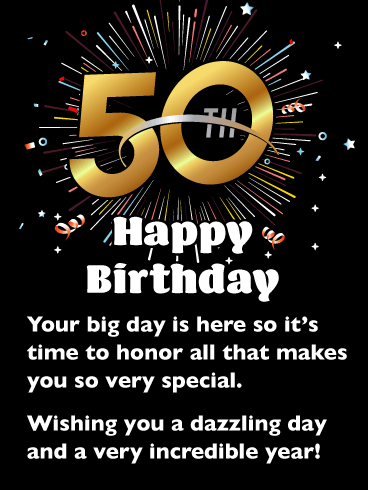 This birthday card is the perfect blend of fun and elegant, with the fabulous streamers and classy script font. 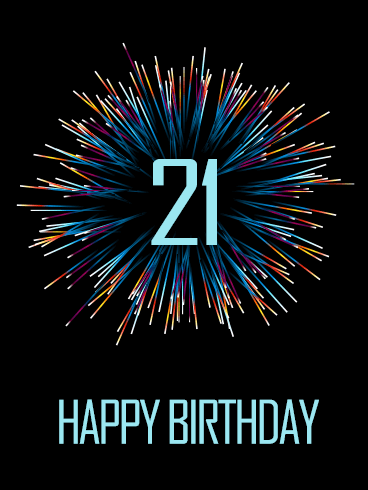 Anyone would be lucky to receive this awesome birthday card. 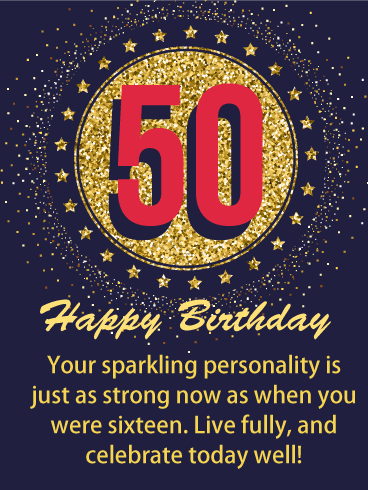 This birthday card is fun, flirty, and fabulous. 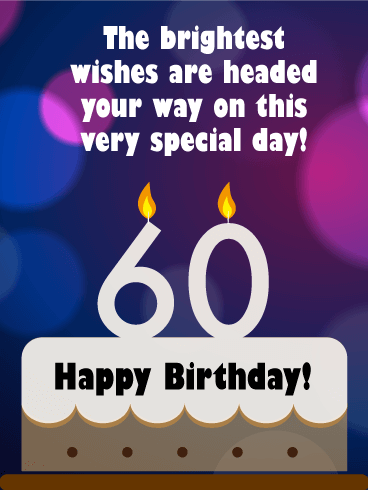 If you've been searching for the perfect birthday card to wish your loved one well on his birthday, look no further! This is the perfect choice, especially for a husband or significant other. 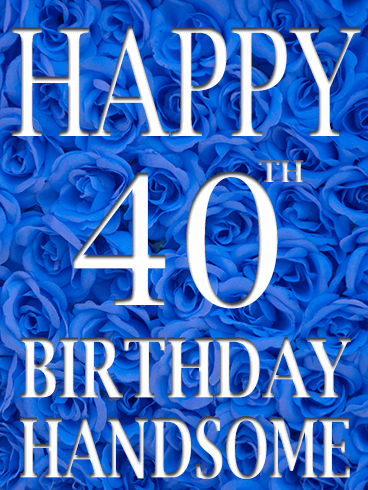 The blue roses add a soft touch, while calling the birthday boy handsome is adorable and sure to make him blush! 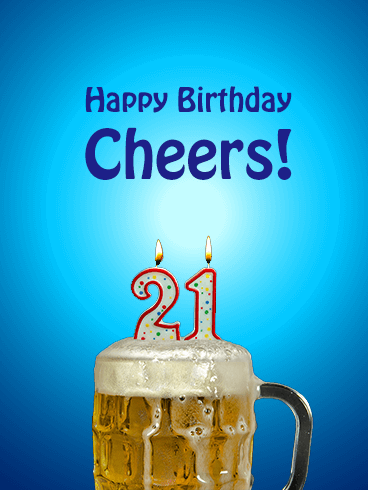 It's time to raise a glass to your friend on their special day - finally! 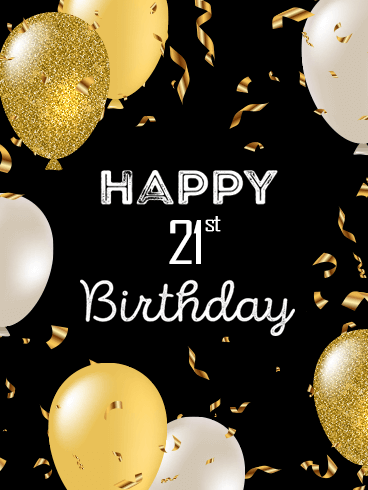 Turning 21 is one of the last big milestone birthdays in a person's life, so use this fabulous Happy Birthday card to celebrate their big day! 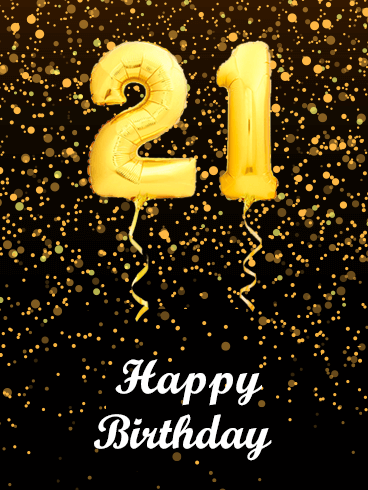 The gold glitter and balloons add a sophisticated touch to an already great card, so send it to brighten your loved one's birthday today! 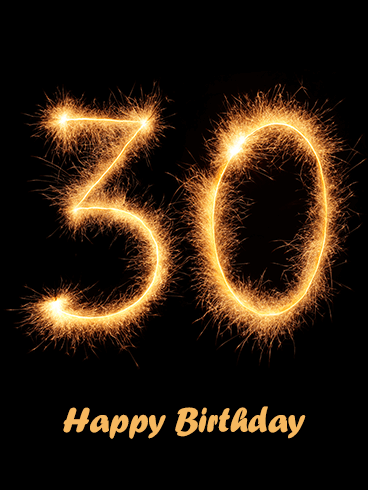 Wow, three decades already? 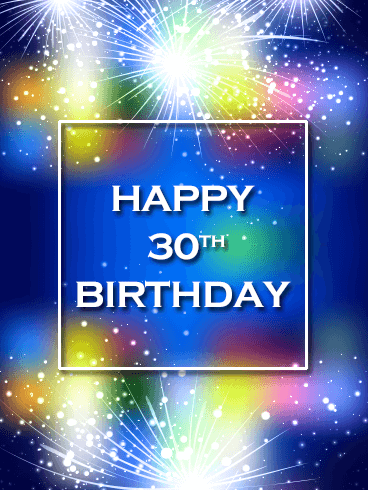 A person's 30th birthday is a significant milestone in their life and deserves a big celebration! 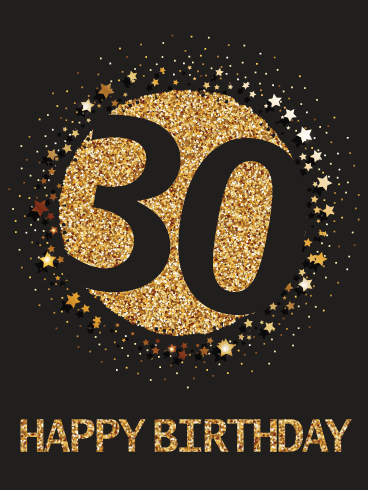 As your friend or family member celebrates their 30th birthday, use the sparkling numbers on this Happy Birthday card to make a big deal of their special day! 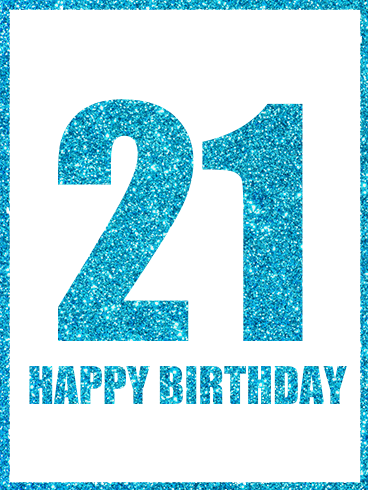 Show them how happy you are to be around to celebrate them on such an important birthday! 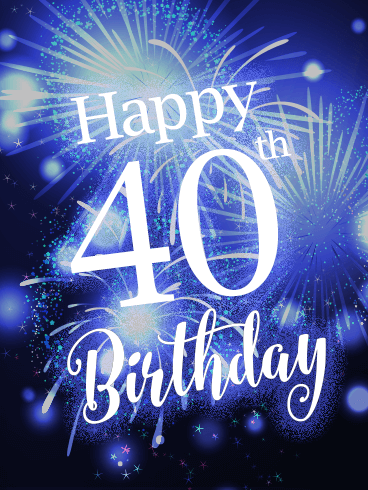 Turning 40 is a big deal. You officially enter middle age and you are rarely considered "young" anymore. 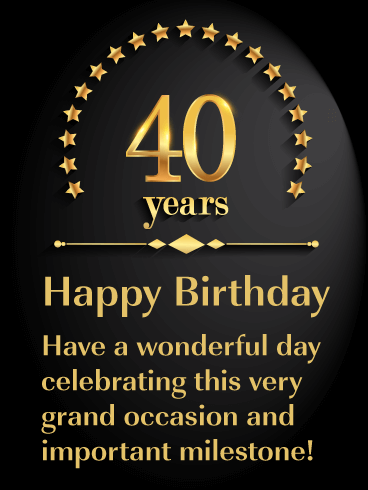 Despite this, your 40th birthday is still a special and very important milestone to celebrate. 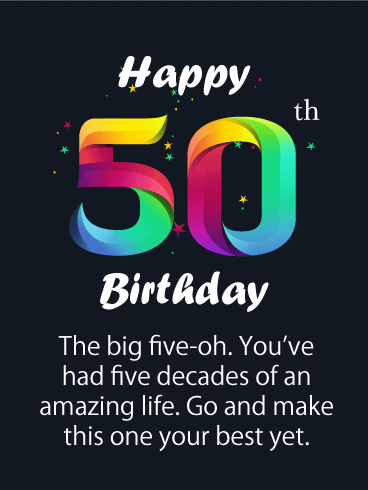 As your loved one turns 40, send this Happy Birthday card to show them the bright side of finishing your fourth decade. 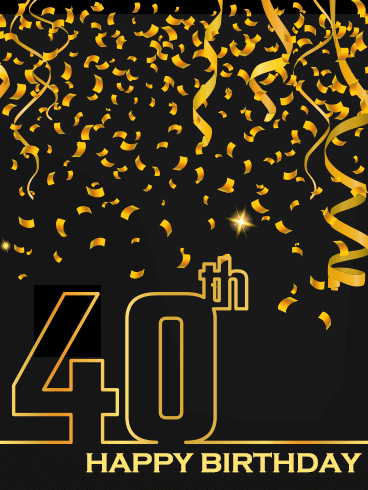 Using the gold streamers and elegant confetti, you can make this a birthday celebration they will never forget! People in their fifties are some of the classiest and most sophisticated people you will ever meet. Their years of experience and endless knowledge have carried them through life and to this incredible milestone. 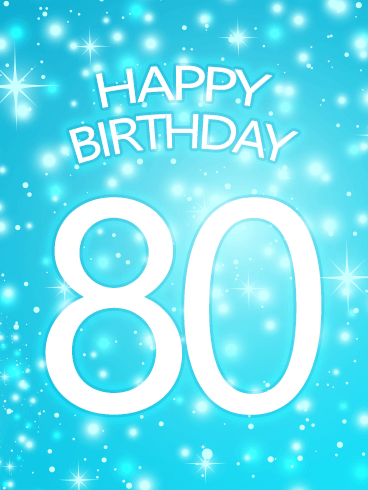 For their birthday, use this elegant Happy Birthday card to send your celebratory wishes! 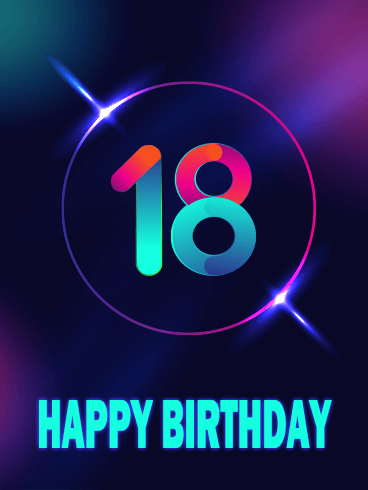 The sophisticated design and colors will help them have the best birthday ever! 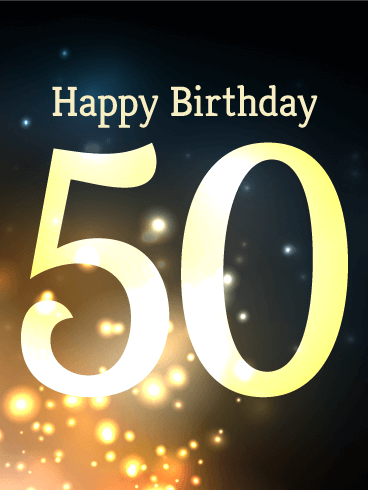 Turning 60 years old is a bright and shining moment in life. 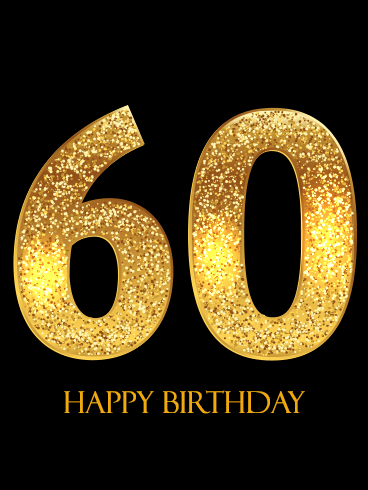 Like the bright colors and shimmering numbers on this birthday card, your sixtieth birthday is an occasion you will never forget. 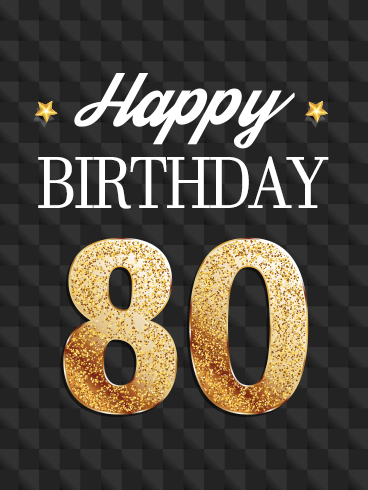 Your loved one is incredibly important to you, so show them how much you care about them by sending this Happy Birthday card! By giving this gift, you can make this a day they will always remember fondly!